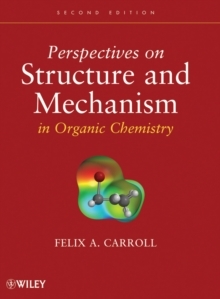 Helps to develop new perspectives and a deeper understanding of organic chemistry Instructors and students alike have praised Perspectives on Structure and Mechanism in Organic Chemistry because it motivates readers to think about organic chemistry in new and exciting ways. Based on the author's first hand classroom experience, the text uses complementary conceptual models to give new perspectives on the structures and reactions of organic compounds. The first five chapters of the text discuss the structure and bonding of stable molecules and reactive intermediates. These are followed by a chapter exploring the methods that organic chemists use to study reaction mechanisms. The remaining chapters examine different types of acid-base, substitution, addition, elimination, pericyclic, and photochemical reactions. This Second Edition has been thoroughly updated and revised to reflect the latest findings in physical organic chemistry. Moreover, this edition features: * New references to the latest primary and review literature * More study questions to help readers better understand and apply new concepts in organic chemistry * Coverage of new topics, including density functional theory, quantum theory of atoms in molecules, Marcus theory, molecular simulations, effect of solvent on organic reactions, asymmetric induction in nucleophilic additions to carbonyl compounds, and dynamic effects on reaction pathways The nearly 400 problems in the text do more than allow students to test their understanding of the concepts presented in each chapter. They also encourage readers to actively review and evaluate the chemical literature and to develop and defend their own ideas. 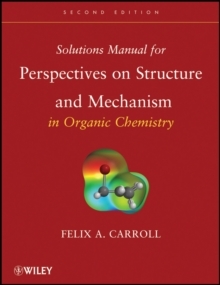 With its emphasis on complementary models and independent problem-solving, this text is ideal for upper-level undergraduate and graduate courses in organic chemistry.